Interviews are conducted two years before anticipated Year 7 entry to the College. 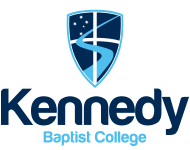 To place your child's/children's names on the respective Kennedy waitlists, a completed form with payment of the $50 registration fee per family is required. To view a Year of Entrance guide for your child/children - click here. Please note that we are currently fully enrolled for Year 7 in 2019. Your child’s name will be added to the 2019 Waitlist and you will be contacted to book an enrolment interview when a place becomes available. Having difficulty completing this form? Please call the College on (08) 9314 7722. Please list from eldest to youngest siblings. See the above Year of Entrance Guide link for assistance. For marketing purposes, please indicate how did you first learn about the College? The Registration of Interest will place your child/ren on a waitlist, Enrolment will only be confirmed after satisfactory interviews have been conducted usually 1-2 years prior to commencement. Please print a copy of this form BEFORE submitting if planning to pay the $50 registration fee in person.